SIUE professor emeritus Jack Shaheen, PhD, a renowned expert on racial stereotyping of marginalized groups such as Arab and Muslim people, died Sunday, July 9, at Medical University of South Carolina in Charleston. He was 81. A celebration of life service will be held at 2:30 p.m. Saturday, July 15 at St. Francis by the Sea Catholic Church. Arrangements are being handled by The Island Funeral Home and Crematory. A native of Clairton, Pa., Shaheen was an emeritus professor in the SIUE College of Arts and Sciences’ (CAS) Department of Mass Communications, serving the institution from September 1969 through March 1994. He continued working on research projects with SIUE until December 2001. For decades, Shaheen worked to identify and shatter harmful stereotypes portrayed in popular media, specifically of Arab and Muslim people. National Public Radio detailed Shaheen’s notable career in an article posted Monday, July 10. Shaheen visited SIUE’s campus last April 6, when he shared his life’s work during the Department of Mass Communications’ “Diversity Among Adversity” series. As part of the series, Shaheen also met with SIUE students and shared his undying commitment to social justice and human rights, encouraging the students to always seek ways to make the world a better place for everyone. “He was truly delighted to come back to his academic home and share his legacy with the SIUE community”, said Elza Ibroscheva, PhD, chair of the Department of Mass Communications. Along with his speaking engagement, his critically acclaimed exhibit, “A is for Arab,” was displayed in the Dunham Hall Theater foyer. Originally inspired by a children’s book Shaheen had viewed in the Edwardsville Public Library, the exhibit showcased and visually deconstructed stereotypes of Muslim and Arab people in Western media. The artifacts, images and films referenced in the exhibit are now part of the Jack G. Shaheen Archive at New York University. 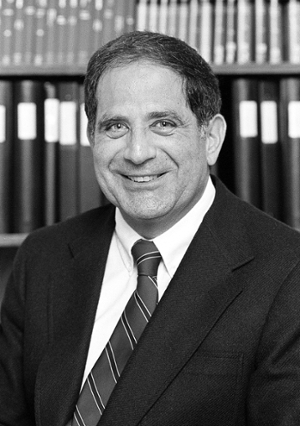 Over the course of his career, Shaheen wrote three books, including “The TV Arab,” “Guilty: Hollywood’s Verdict on Arabs after 9/11,” and the award-winning “Reel Bad Arabs: How Hollywood Vilifies a People.” His writings include more than 300 essays that have appeared in publications such as The Washington Post, Newsweek and The Wall Street Journal. His work has also been featured in more than 40 college textbooks. Additionally, Shaheen spoke on numerous national programs and talk shows, and consulted for such institutions as the United Nations and the Justice Department’s Civil Rights Division. 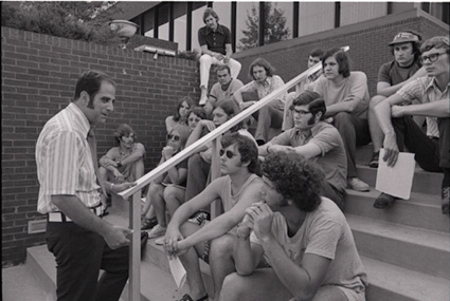 Photo: Dr. Jack Shaheen during his tenure at SIUE.